Meditation Instruction Tailored to Suit Your Needs. The instruction you'll receive will be based primarily on what you intend to gain from your meditation practice, plus any previous meditation experience you've had. These one-to-one sessions can be done via Skype, FaceTime, WeChat, or phone.  After your instruction, free e-mail support will be available. Please submit your payment after we've scheduled your session. Astrological readings revealing the plan you created for this lifetime. Before you were born, you - with the help of your Higher Self - created a plan, outlining what you want to experience in this life. Your plan includes: The kind of experiences that will help you unfold and express your unique talents -- The kind of family that will help shape you to fulfill your destiny -- The kind of relationships that will add to your wholeness -- The type of vocation through which you can best express your talents and make a contribution to the world -- The karma you want to resolve -- The facets of your Higher Self you are polishing, and more. "What stands out about Jim is his sensitivity. It goes beyond empathy. Jim possessed a deep understanding of my needs, and helped me feel deeply rooted. He has the uncanny ability to make accurate and holistic analysis of my personality and gifts. What's more important, he communicated and instilled this belief of potential in me. And his insight to transcend my life challenges will live on with me for many, many years to come. He was a bright light for me when I felt unclear and unfocused. "I cannot thank Jim enough for the tremendous contribution he has made to the understanding of my life lessons. The meditation he personalized for me has ensured that Jim's legacy will live on, in an meaningful and relevant way, for me to integrate the learning from his readings. Both his reading and meditation means so much to me. He taught me not to not only move towards greater spiritual consciousness but to feel it. 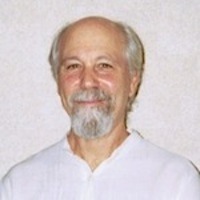 Jim Malloy is a meditation teacher and astrologer. Trained as a meditation teacher in 1973 by Maharishi Mahesh Yogi, he has 45 years of teaching experience. He has taught meditation classes throughout the U.S. and in the U.K., and now teaches globally via The World Wide Online Meditation Center, InsightTimer, Mindbliss, and various other online venues. He has been practicing daily meditation for 52 years. To deepen his practice and further his teaching skills, he has studied with and received initiation from various spiritual teachers, including Swami Muktananda, Zen Master Shunryu Suzuki, Amma, Kalu Rinpoche, and the 16th Karmapa of the Tibetan Karma Kagyu lineage. Jim was trained as an astrologer in 1968 at Berkeley Free University in Berkeley, CA. Over the past 50 years he has done astrological readings for thousands of individuals, and has taught astrology at all levels. Copyright © 1998-2018 The Worldwide Online Meditation Center. All Rights Reserved. All text, graphics, HTML and contents of this website are protected by US and International copyright laws and may not be reproduced or distributed in any manner without the explicit permission of The Worldwide Online Meditation Center.